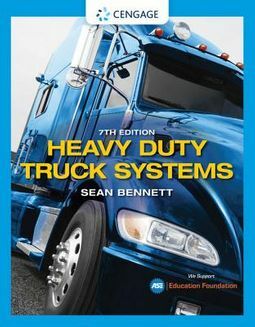 Comprehensive, technically accurate, and up-to-date, HEAVY DUTY TRUCK SYSTEMS, Seventh Edition, helps students gain the essential knowledge and skills needed to service medium- and heavy-duty trucks. 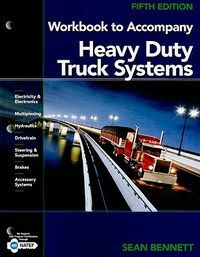 This best-selling guide provides a strong foundation in electricity and electronics, powertrain, steering and suspension, brakes, and accessories systems, as well as practical topics like servicing, safety, tools, and preventive maintenance. 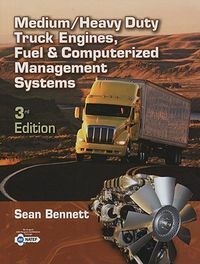 The new edition has been updated with full coverage of the latest ASE Education Foundation IMMR/TST/MST competencies and the latest technology, including J1939 updates and access tools, lock-out tag-out compliance, expanded PicoScope coverage, DIN wiring schematic navigation, and the five levels of semi- and fully autonomous trucks. With extensive review questions, over 1800 full-color photos and illustrations, and a standalone workbook with ASE Education Foundation task-oriented job sheets, this proven text is an ideal resource to prepare students for professional success.